Teacher shortages and lack of school leadership have been blamed. But supporters say it increases pupil choice if they are allowed to study six subjects in fourth year, then six again in fifth and sixth year which most youngsters now stay on to complete. The survey carried out on behalf of Holyrood’s education committee saw 87 of Scotland’s 359 secondary schools respond. It found that 50 schools (57 per cent) offered a maximum of six subjects in fourth year - while one school offered a maximum of five subjects. Fewer than a third (26) allow youngsters to sit a maximum of six subjects, while just ten (11 per cent) have eight subjects as the norm in fourth year. The committee will this week begin an inquiry into subject choice in the later stages of secondary amid growing concerns in recent years that the narrowing range is limiting youngsters’ education. And the absence of leadership from the top has come under fire from some of the schools which commented in their responses to the committee - as well as the difficulty in recruiting new teachers. “Over the last few years there has been a lack of clarity in advice for the senior phase - particularly over how more than 6 subjects can be taken in S4 and how that relates to the purpose and rationale for S3,” one school commented. “There is significant variation from authority to authority and this has the potential to become something of a post code lottery for young people,” it adds. The issue will come under the spotlight at Holyrood today when bosses from national teaching quango Education Scotland, including strategic director Alan Armstrong, give evidence before MSPs on the education committee, along the chief inspector of education Gayle Gorman. 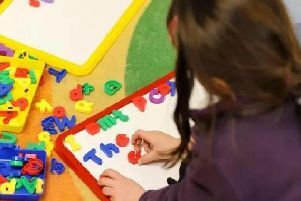 The national teaching shortage is compounding the problem with almost three quarters (72 per cent) of schools saying difficulties filling classroom vacancies was constraining subject choice either a great deal or to some extent. A report last August found more than 200 schools were still advertising staff vacancies when pupils returned to the classroom following their summer break. It revealed more than 650 different posts were unfilled in the lead up to the start of term, with high numbers of vacant posts in Aberdeenshire and Moray. Subjects such as science, maths and computing were the most in-need, while Music, languages, physical education and home economics were also all undergoing a shortage of talent, the report added. “Increasingly choices in the Senior Phase are driven by what we can staff due to very challenging recruitment difficulties in the North East rather than the school’s rationale for our Senior Phase curriculum,” one school added.